Modernist architecture movement of the buildings in any city reflects the modernity of that city. Lefkoşa as a modern city faced many conflicts in the last century. The governmental buildings illustrate how modernism in architecture was defined and reflected in the buildings of the city. The aim of this paper is to explore the modernism movement in architecture influence on educational governmental buildings in Lefkoşa for first half in 20th century. 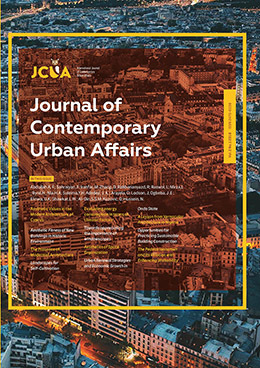 The paper focuses on the ideas and experiences of modernist architects in first half of 20th century to apply modernism elements, and relationship between architecture form and functionalism in governmental buildings. Methodology frame work elucidated to conduct the subject. Two School buildings have been selected from the first half of twentieth century in Lefkoşa as case studies for modernist architecture. ‘Lefkoşa türk lisesi’ designed by ‘Ahmet vural Bahaedden’, which was the one of famous modernist architects in Cyprus and ‘Şehit Ertuğrul Ilkokulu’. The buildings architectural elements analyzed in both schools to demonstrate relation between site, interior space, functionality and environmental response, based on using their modern material and character. The paper concluded that the educational buildings hold strong elements of the modernist architecture in Lefkoşa and demonstrate how the elements of modernism were involved functionally in the design. The findings contribute useful evidence about the existence of modernism philosophy in architecture in Lefkoşa in the first half of twentieth century. The turkish republic of northern cyprus . (2014). Lefcosa: Bolan Dijital Baskı Ltd.